This form is to be used for those registering for Summer Faith Formation for grades 6-10 for the summer of 2019. Choosing this option will take the place of traditional Faith Formation Classes throughout the year. Traditional school year Faith Formation Classes are still an option and can be registered for using our standard "Faith Formation Registration Form." Please advise if your child has special needs/allergies that will affect their learning in the classroom. Is Baptism record on file with OLA? Please go to Registration Fees if no additional children to register. If you choose "Tution waived - catechist" in this section then you MUST choose Invoice in the section below. Security Code (CVV2)* | What's this? CVV2 is an important feature ensuring security when you are using your credit card for transactions on the Internet and over the phone. 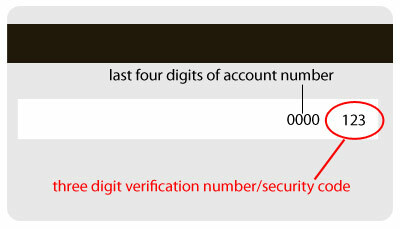 "CVV" is an abbreviation for "Card Verification Value". For Discover Card the same thing is called the "Cardmember ID". Most credit cards, such as *Visa*, *Mastercard*, and *Discover*, have a three-digit CVV2 number printed in the signature space on the back. It is always the last group of numbers in the signature space on the back of the card. Please keep in mind that it is NOT part of your regular credit card number. The CVV2 is a means of fraud protection that helps validate two things: that the customer has the credit card in their possession and that the credit card number is legitimate. By preventing fraud CVV2 helps keep costs down for everyone. Required* - - Provide a contact phone number for the billing contact. How do you prefer to receive bills? I prefer to receive bills by email. I prefer to receive bills by postal mail.